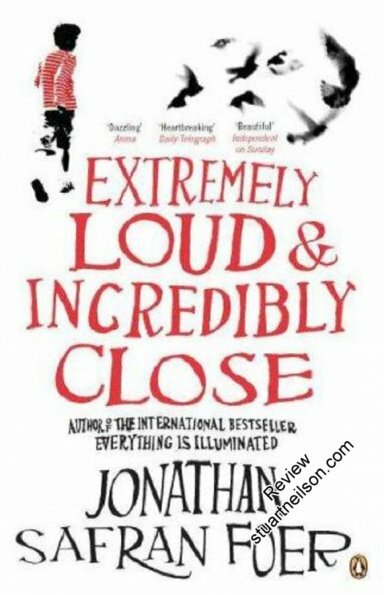 Foer, Jonathan Safran - "Extremely Loud and Incredibly Close"
I loved this book, which has a depth and intensity that is not present in the film, which deals more specifically with Oskar than with the family background of his life story. The book is embellished with photographs, graphic art and typographic elements that have great impact. Oskar Schell is a child whose father died in the 9/11 attack on the Twin Towers, plagued by a secret, which turns out to be just one amongst many intergenerational secrets. His search for an answer helps him to conquer his fears and debilitating anxiety about the outside world and strangers. The book makes no explicit reference to autism, but Oskar has Asperger syndrome, which is "for smart people who can't run straight" in the film. As a result, this is refreshingly one of the few books in which the chief character is just who he is, not first-and-foremost an autistic character. The book displays echoes through multiple generations of autism traits, with different interpretations and responses in each generation. Some elements of the book and the film may be very emotionally upsetting (people who I watched the film with were upset).